The Light Keeper Pro is a multi-purpose tool used to repair burned out incandescent mini light strands. This tools is a must have for any professional Christmas light installer or homeowner. This tool also test mini light bulbs and fuses. A C9 stringer with one working bulb and a male connector can be used to determine if an outlet, or female connector, is hot. Just plug the test light into an outlet, if the light bulb turns on, then there is power to the outlet or connector which the test light is plugged into. This is a useful tool to determine whether a male or female SPT slide on connector is properly installed. To make a test light, just cut off a single socket of a C9 cord, seal the ends, add a C9 bulb and a male connector. 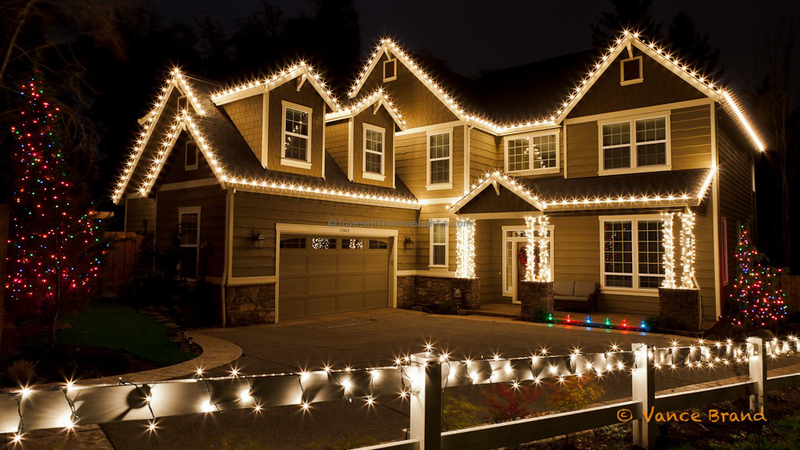 Christmas light installers are not electricians, but will be cutting plenty of wires. A good, sharp pair of wire cutters is essential. Dull, or damaged wire cutters will not make a clean cut. Wire cutters can be used to cut cable ties, bailing wire, aluminum wire, zip ties, etc. This tool is also great for removing staples. Needle nose pliers are another often used tool when installing Christmas lights. They work great for removing broken bulbs from the light stringers. These pliers are also used for sealing lamp cord. 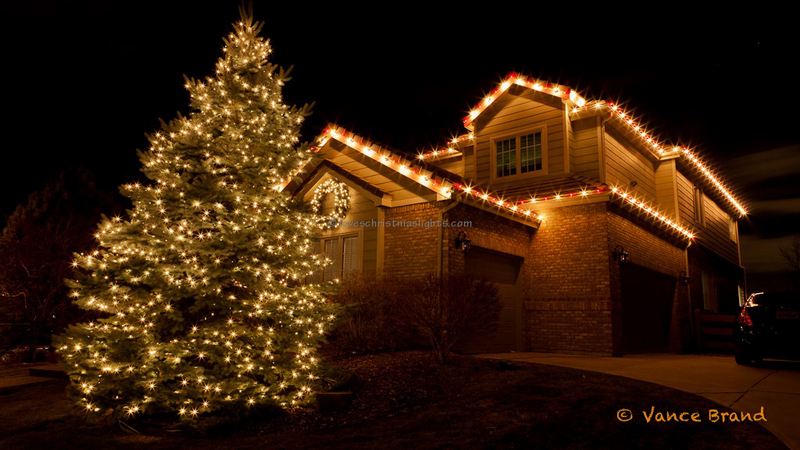 A 23-foot and a 6-foot extension pole with a makeshift hook is the only way to hang lights on tall trees where the foliage is out-of-reach. Though primarily used for spinning trees, this pole can also be used in deciduous trees when outlining the branches. The extension pole is also a handy tool for removing lights at the end of the holiday lighting season. 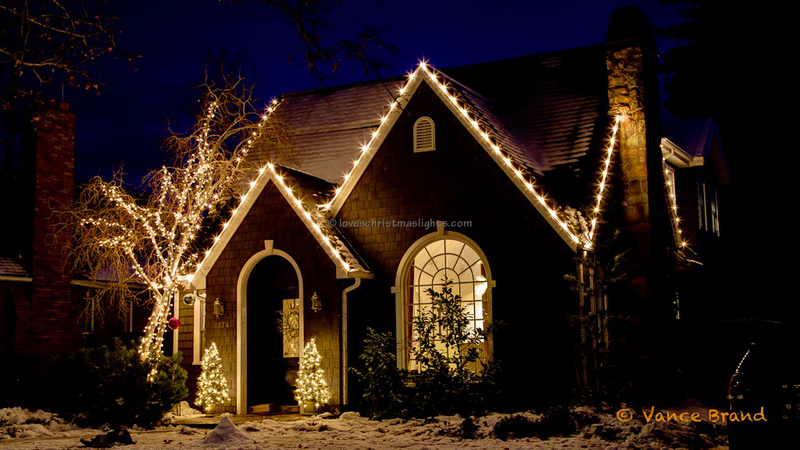 Just grab the lights with the hook and pull them off the house. A craft glue gun is used to attach lights to windows, brick, stone, or other applications where clips or staplers will not suffice. Be sure to test the glue on the surface before application as the glue may damage the materials. Do not glue to stucco or paint! Gluing to these materials will cause permanent damage. The staple gun is preferred when attaching lights to wood. It is highly recommended to purchase a staple gun with a wire guide to prevent stapling through the Christmas light wires. Use Arrow T50 staples in 6mm to 10mm lengths. Use the shortest staples possible, otherwise they will have to be removed with the wire cutters. As a general rule, use 8mm staples for composite wood and hardy planks while using a 10mm staple for wood or cedar. Stapling into painted surfaces will leave two small holes and may chip the paint. This portable GFCI should be plugged into any outlet that is not a GFCI outlet. This will trip first and prevent one from searching for the GFCI outlet in the home.